PARIS -- New-car registrations in France declined by 4.7 percent in November, as the market continued a slowdown following summer sales increases driven by incentives to sell cars that were not yet homologated under the new WLTP type-certification tests. There were 171,611 registrations in November, according to industry group CCFA, with 21 selling days in the month, the same as in 2017. 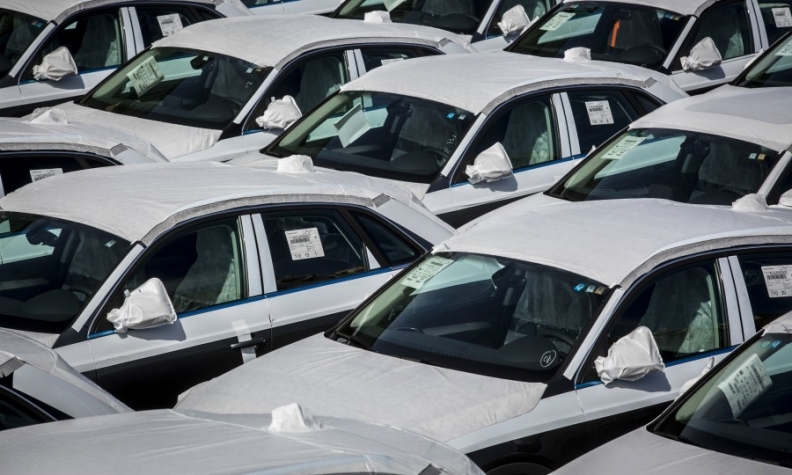 Sales rose by 40 percent in August, normally the slowest month of the year in France, ahead of a Sept. 1 deadline for certification under the Worldwide harmonized Light vehicle Test Procedure, or WLTP -- but fell 13 percent in September and 1.5 percent in October. Registrations are still significantly higher for the year, with an increase of 4.7 percent through November, CCFA said. There were 232 selling days in 2018, compared with 231 in 2017. Adjusted for equal selling days, the increase was 4.3 percent. Sales increases and declines varied widely by brand, as not every model and powertrain variant has yet been homologated under the new emissions tests -- which try to more closely match real world conditions -- and thus cannot be sold. Other variants have returned to the market after production was stopped pending certification. JATO Dynamics estimated that just 63 percent of all variants in Europe had been certified as of mid-November. “WLTP homologation is proving to be a more difficult process than expected,” JATO wrote, adding that some models could be permanently discontinued because certification was too difficult. Seat, Volkswagen Group’s Spanish brand, led with an increase of 42 percent; followed by Volvo, at 39 percent; and Dacia, Renault’s budget brand, at 35 percent. The largest declines among volume brands were at Nissan, down 54 percent; Audi, down 37 percent; and Renault, down 25 percent. • Download PDF, above right, for November sales by automaker and brand. PSA Group sales rose by 1.9 percent, led by an increase of 11 percent at Citroen, which now has two SUV models in its lineup, the C3 Aircross and C5 Aircross. Sales rose by 1.1 percent at DS and fell by 1.3 percent at Peugeot and 3.3 percent at Opel. Renault Group sales fell by 12 percent overall, with Dacia’s large gain unable to make up for declines at Renault.